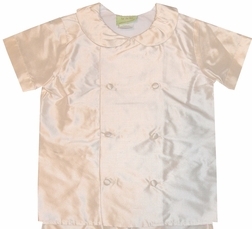 Precious soft and smooth ivory/ecru silk double breasted Eton suit for toddler boys. 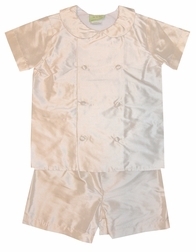 The suit is made with the short sleeve blouse that has a Peter Pan collar and matching shorts. 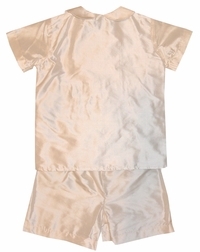 Perfect for portraits, ring bearers and special occasions.